Learn everything you need to know to be successful selling products to anglers. 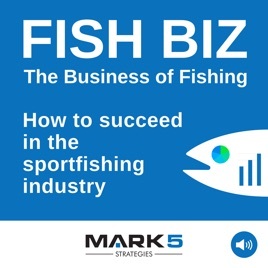 Fun and interesting lessons, tips, tricks, and interviews with industry giants and startups about being successful creating and selling products in the sport fishing industry. Includes profiles of tackle manufacturers, boats, custom fishing products like rods and much much more. We cover everything from marketing to distribution, fulfillment to manufacturing, online sales to retail displays, and branding to accounting, but we don't teach you how to fish.